Woollyhugs > Latest.. > Auction > Spring Auction 2019 > Spring Auction. Number 53. Beautiful striped crocheted bag. Spring Auction. Number 53. Beautiful striped crocheted bag. 53. Such a beautiful crocheted bag. It’s the Attic24 design in chunky. Measures approx 32cm tall and approx 80cm in circumference at the top. Love it! item name : Spring Auction. Number 53. 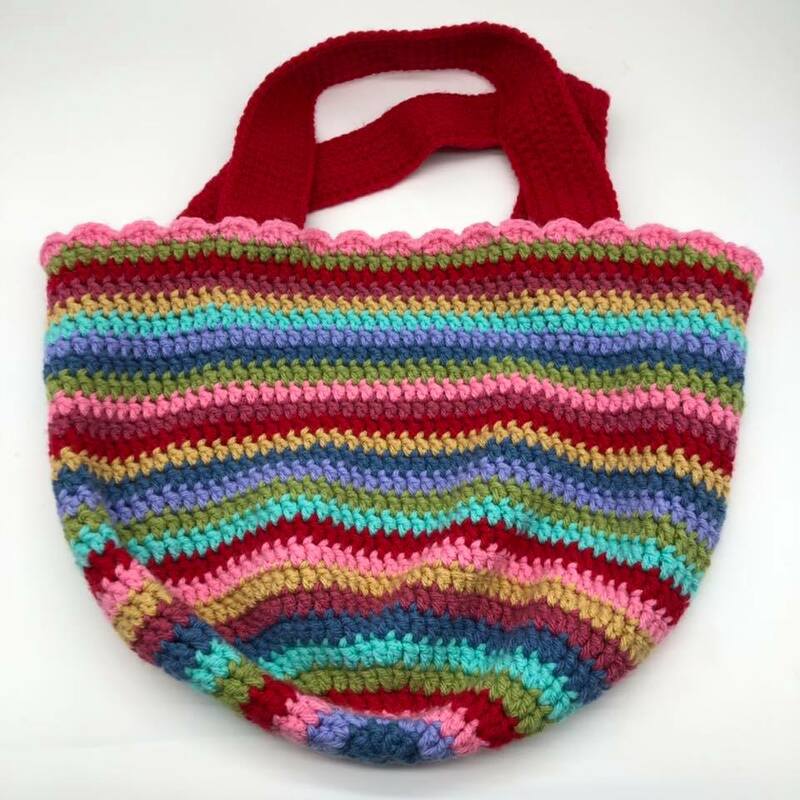 Beautiful striped crocheted bag. Spring Auction. Number 50. Purple little chick! Spring Auction. Number 58. Beautiful Japanese style knot bag in birdy print.